Have you ever wondered what sort of table game perfect pairs blackjack is? Well, let’s back up a little. Blackjack obviously is a great game and is one of the most recognizable names in any casino setting. The game limits you by the fact that there is no way for players to win big immediately. While this is okay, wouldn’t it be better if there are times you get to win big? Or even bag the jackpot? As a result, so many tables now include side bets which players can choose whether or not to play. And out of this, there is a popularly known real money blackjack version that is perfect pairs blackjack. It is a bonus game with huge payouts in case a player gets dealt with similar cards at the start of a hand. 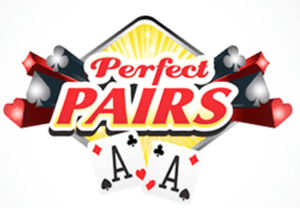 Perfect pairs blackjack is an optional side bet. Play the side bet on every hand you participate in at a blackjack table that offers a wager. If you desire to play, all you have to do is place your wager. Usually, they set the minimum bet at $1, which may be less than the minimum situated on the main online casino game. It is essential that you remember that you can play a side bet only if you make the standard bet. This strategy means you cannot play as an independent game on its own. After making a bet, the dealers the first two cards in hand are what matters. Your objective is to get two cards of the same rank, for example, two kings. Any two of the same cards will pay out, but having two cards with the same color offers a better payment. 1. A perfect pair pays 25-1. 2. Colored pair pays 12-1. 3. Non-colored pair pays 6-1. The few side bets give a better chance to come up with a strategy, and this is the exception. Your winnings are determined based on the cards you are dealt with and nothing else. Winning at perfect pairs blackjack, like many other table games is solely a game of chance. If you intend always to get the best hand, it is advisable to avoid this game. Depending on the payout table used, the house edge lies between 2 percent and 8 percent and this is higher than blackjack. It is convenient if you are after having fun in a casino, this is the game for you. For small investments, you can add more actions to blackjack, and this will increase your potential to win big payouts on every hand. As far as side bets are concerned, perfect pairs blackjack is the best of all table games. Combined with the other incredible odds available the house edge is not entirely unbelievable. Better yet, if they are combined with the blackjack odds the payout is even better.